Paycom is growing at a phenomenal rate and we are looking for friendly, driven, passionate and successful individuals to join our team. 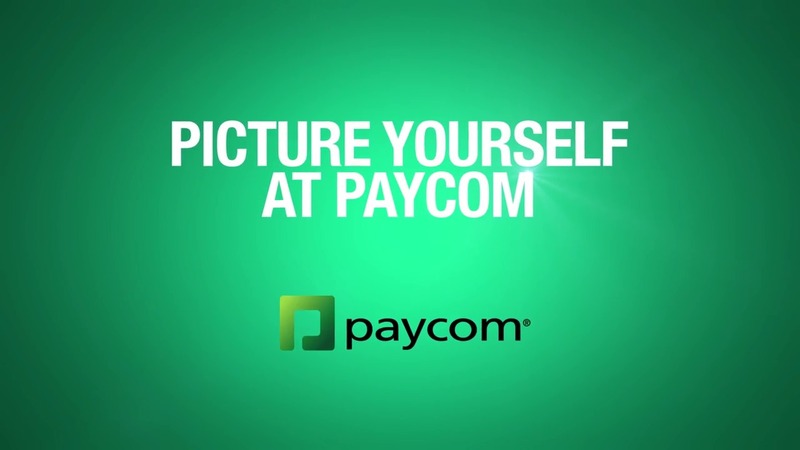 Paycom offers world-class training and advancement opportunities. When you work at Paycom, you’re working for an award-winning top workplace. A career in the Paycom service department is full of growth opportunity. Discover how you can elevate your career. As our workplace awards attest, Paycom employees work as hard as they play. They thrive on collaboration, yet flourish in an environment that celebrates their individuality. Comprehensive health and wellness packages are offered to employees for just $1 per pay period. Optional health care packages include dental and vision coverage. We want to help you reach your retirement goals sooner, so we match up to 3.5% if you contribute at least 6% toward a 401(k) plan. It's free money that's vested after just two years of service and can be tax-deferred. Flexible Spending Accounts (FSAs) are a great way to save on taxes and give you a way to set aside pre-tax dollars to reimburse your eligible health care and dependent care expenses. We provide employees with a basic $25,000 life insurance policy, providing you and your covered dependents financial protection. Vacation, holiday and sick leave are offered to all employees and increase based on years of service. Every employee gets access to Paycom's fully equipped gym. $4 daily catered lunches are provided in corporate cafeteria. An employee stock purchase plan is available. Every day is filled with excitement, whether that be assisting our amazing clients, enjoying a fun-filled company event or participating in one of our many philanthropy programs. We are committed to providing an atmosphere that fosters our employees’ personal and professional growth. Each employee gets thorough, hands-on training ensuring they are knowledgeable about all aspects of our software. Upon graduation from training, you will be equipped to aid our clients with all aspects of our software. At Paycom, it’s not just about product training; it’s about empowering employees to realize personal goals, while also contributing to the overall success of the company.